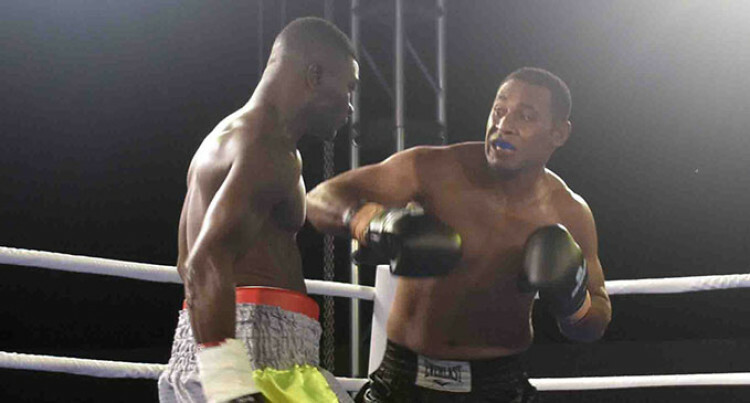 The feature event which was the light heavyweight title fight between Savenaca Naliva and Joseph Kwadjo was stopped in the sixth round due to the slippery canvas. The Boxing Commission Fiji has assured fans to expect a new canvas in the next promotion. BCF chairman Bulutani Mataitawakilai admitted the canvas used during the South Pacific Boxing programme at Prince Charles Park in Nadi on Saturday was not the desired material. “BCF would like to assure boxing fans to expect to see a new canvas material in the next promotion,”Mataitawakilai said. He said the canvas was recently procured by BCF through the 2017/2018 Government grant through the Ministry of Youth and Sports. “This is the first ever boxing ring to be owned by BCF since its inception in 2008,” he added. “BCF have made a decision early this year not to hire out the ring for the time being until we construct a roofing structure and also to check the package sent from the manufacturer. “But last Thursday, two days before the fight, the promoter approached BCF as there was no ring. “We only found out on Saturday morning when we unwrapped the canvas package that it was not the desired material. “Unfortunately what transpired in the last bout between Kwadjo and Naliva that resulted in the officials and BCF calling the fight off was unfortunate and a result of many factors. “The ring canvas was perfectly fine throughout the night, helping viewers and fans to watched quality fights after a very long time. The humid west weather and heavy perspirations from both boxers coupled with water poured on them by respective corners made it worse. Meanwhile, BCF also confirmed that the scuffle between Kwadjo’s corner and the security led BCF to seek the Police assistance.